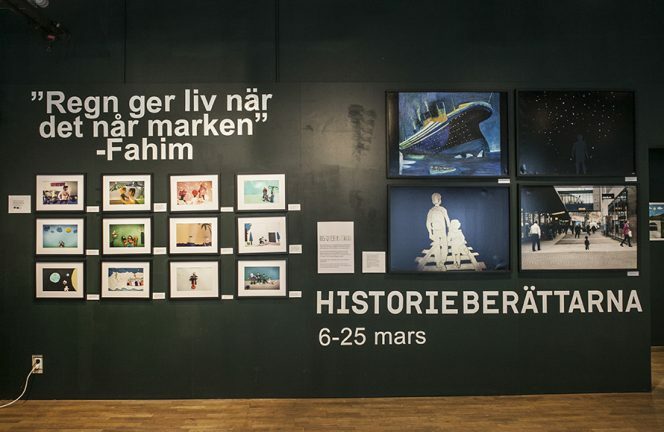 Historieberättarna are proud to be exhibiting at the Stockholm House of Culture & City Theatre, Kulturhuset Stadsteatern, together with refugee children and youngsters who worked in our projects since 2015. 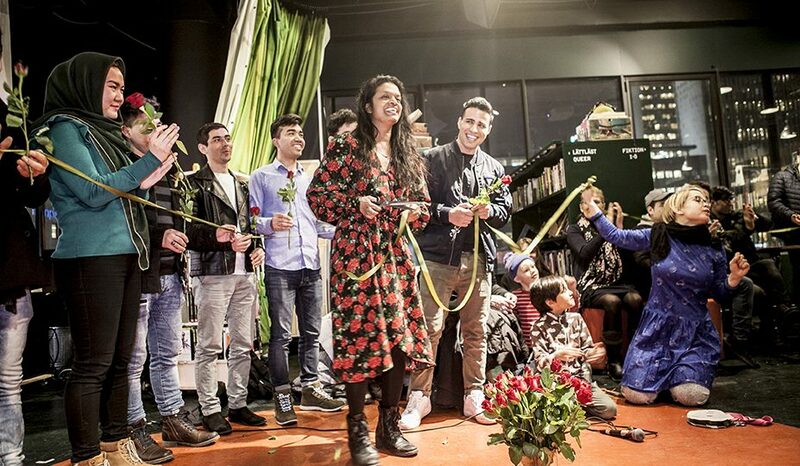 Nearly 200 people visited the opening night and young refugees were reading poems, gave speeches and an Iraqi peace choir called Tigris Birds sang songs. 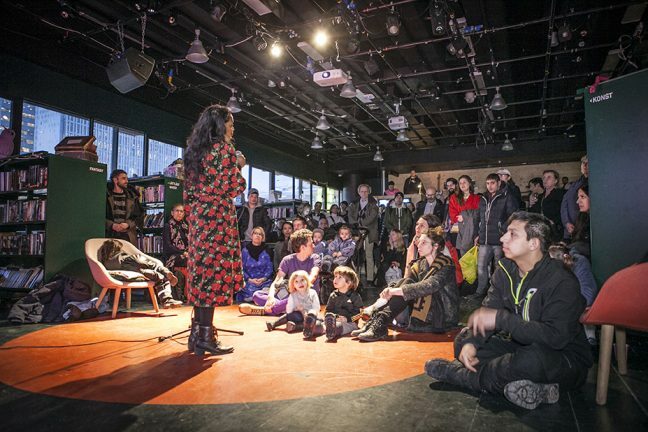 170 Afghan pasties were eaten up and it became a nice evening with many moving stories shared. It is possible to visit the exhibition until 25/3. From art work within the project Storytelling without Borders project, 12 stills from stop motion films were exhibit and 16 films were screened.